Understanding how to grow and develop our horse’s confidence gives us confidence in handling our horses on the ground and in the saddle. As our horses become more confident, they become more willing and successful. Schedule your free 30-minute assessment to identify the kind of confidence your horse needs to improve, and strategies for progress successfully building confidence for horses starts with understanding the prey/ predator relationship. Horses are prey animals, and you don’t want yours to think of you as a predator, but as a partner instead. All the strategies and techniques of the Parelli Program build on this understanding. The pathway for your happiness and your horse’s success starts with learning the Parelli Levels program at Level 1. Depending on your experience with horses; Level 1 can take 3 hours, 3 days or maybe 3 weeks and then on to Level 2 where our horse’s confidence really starts to improve! The benefits are both obvious and sublime. Your horse becomes your partner and instead of putting his energy into fighting the bit, or reins or legs, a harmony develops where the horse puts effort into doing what you ask of them. That in of itself would be more than enough, but the other benefits are an increase in awareness and living in the moment, outside of worries and fears. The program teaches you how to overcome fears and read the horse for clues as to what they are thinking so that you can adjust yourself to be a better human. THAT has advantages in your non horsey lives as well! 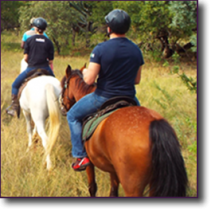 Your learning style and ambition determines if you should take lessons with a Parelli Instructor or join the Parelli Savvy Club. The most rapid improvement is found for the student who learns with their horse in an instructor’s presence and learns away from their horse by reviewing the content in the Parelli Savvy Club.